Iona Craig’s piece “Women and Children in Yemeni Village Recall Horror of Trump’s ‘Highly Successful’ SEAL Raid” was published by the Intercept today. Washington editor of Harper’s Magazine, Cockburn is available for a limited number of interviews. His most recent book is Kill Chain: The Rise of the High-Tech Assassins. 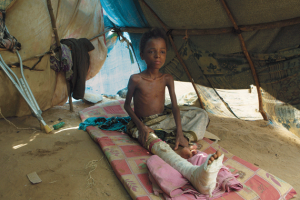 He wrote the piece “Acceptable Losses Aiding and abetting the Saudi slaughter in Yemen,” which states: “Just a few short years ago, Yemen was judged to be among the poorest countries in the world, ranking 154th out of the 187 nations on the U.N.’s Human Development Index. One in every five Yemenis went hungry. Almost one in three was unemployed. Every year, 40,000 children died before their fifth birthday, and experts predicted the country would soon run out of water.